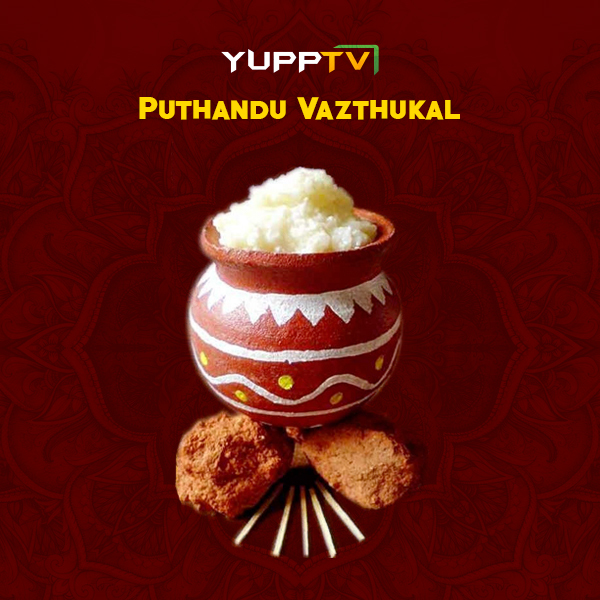 YuppTV Blog: Celebrate Tamil New Year in YuppTV Style! Celebrate Tamil New Year in YuppTV Style! There is no better feeling than beginning your new year with a grand celebration and we have many ways to help you achieve that. New ambitions, new hopes, and new dreams are taking shape with this Tamil new year and YuppTV is well prepared for that with some of the beautiful surprises up its sleeves. YuppTV has always been your faithful companion through various entertainment modes along with Live TV Channels. Just like every Tamil new year, this time also we are going to help you start this Tamil new year with a bang. We will make sure by our broadcasts that your entertainment dose is strong enough to fulfill your Tamil new year with enthusiasm, joy, laughter, and positivity. We already have more than 36 Tamil channels to keep you entertained and this time, we have also introduced some of the best YuppTV offers till date on this auspicious occasion. We are sure that you will definitely find the offers that perfectly suit you. We are going to show you some of the biggest blockbuster television programs and events that will not let you move from your seat. The offers are only for a limited time so make sure you subscribe us as soon as possible because we will give you some of the best quality entertainment packages on our Live Tamil TV Channels.So celebrate this Tamil new year with all the biggest superstars of the Tamil entertainment industry. All you have to do is subscribe to our budget-friendly offers specially made for this Tamil new year. If you already like watching the Tamil TV Channels, we promise that you will love the flat discounts and packaged that are available on our website. So what are you waiting for? Just tighten your seat belts and enjoy the journey of our superhit entertainment programs. YuppTV wishes you a happy, prosperous and entertaining Tamil new year. Puthandu vazthukal!